An injury to the mother or child suffered during birth can mar an otherwise joyous event. If a healthcare provider was at fault, make certain that you achieve justice with help from a Boise birth injury lawyer. Birth injuries can be devastating for any family. They range from minor injuries with short recovery times to wrongful death. If you, your child, or your spouse suffered an injury during pregnancy or delivery, call our office to speak with a Boise birth injury lawyer. You could have grounds for a medical malpractice lawsuit that will allow you to achieve justice through financial compensation for your injuries, damages, and expenses. We’ll help you determine if your case can succeed and assess the full value of your claim. It is important for you to contact our office as soon as possible so that you can file a lawsuit prior to reaching the statute of limitations. Otherwise, your case could be thrown out of court without a verdict being rendered. Another advantage of hiring a Boise birth injury lawyer quickly is that we can gather evidence to prove negligence while it is still fresh and easy to access. Waiting could result in evidence disappearing and make witnesses substantially more difficult to track down. Your Boise birth injury lawyer will help you to get as much money as possible for your birth injury claim. You could receive compensation for medical bills, long-term care and rehabilitation, the cost of hiring a caregiver, lost wages and income, pain and suffering, and any other damages and losses your family has experienced because of what happened. You have the right to file a lawsuit on behalf of yourself or your child. Because birth injury cases are complex, you’ll want to have an experienced Boise birth injury lawyer on your side to deal with the insurance company and their attorneys. 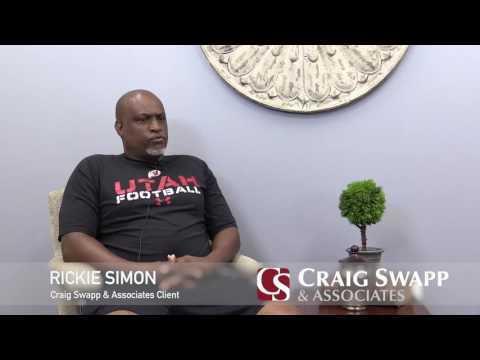 Craig Swapp & Associates will be happy to answer your questions and advise you on what your next step should be. To arrange a time for a free, no-obligation case evaluation, call 1-800-404-9000 or submit the contact form below.